Atmospheric Perspective:: The effect produced by diffusion of light in the atmosphere whereby more distant objects have less clarity of outline and are lighter or bluer in value. Intensity: The brightness or dullness of a hue or color. For instance, the intensity of the pure color blue is very bright. When a lighter or darker color is added to blue, the intensity is less bright, or more subdued. Fence Landscapes Creating a sense of depth on a 2 dimensional surface has been a goal of artists throughout history. 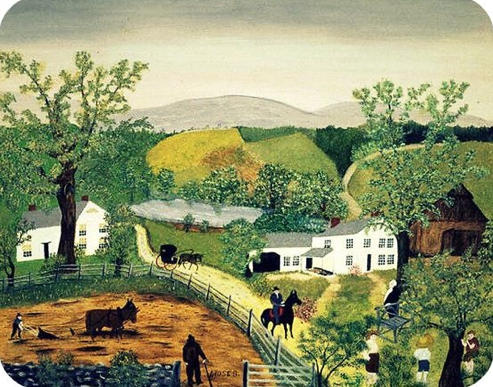 Artists like Grant Wood and Grandma Moses used many “Depth Tricks” to achieve this effect. 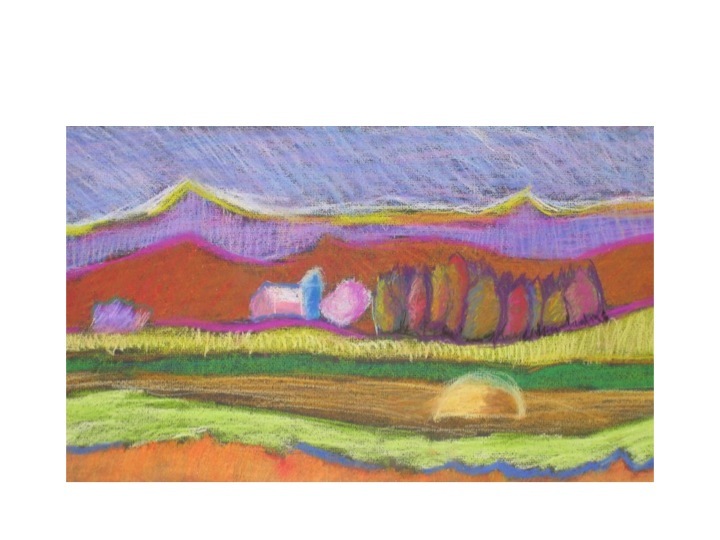 Your assignment is to use these tricks to create an imaginary drawing of a deep landscape, inspired by photos and your own experience Includes a road lined with a fence, as well as narrative details inspired by Grant Wood, Grandma Moses, and your own memory and imagination. * Choose several landscape photos that appeal to you. * Draw a foreground, middle ground and background by both observing your photos and using your imagination and memory. 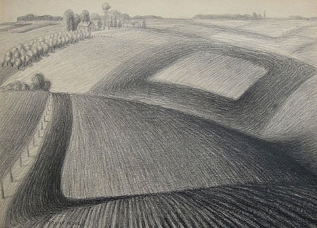 *Draw a road going into the distance by slanting it and by making the lines converge. *Draw a fence along the road making sure to keep the posts vertical. * Add a large object in the front, overlapping the middle ground. *Add a few details to the middle ground making sure to draw “on the land” and not on the line. *Use different types of marks and the blending stump to add shading and cast shadows. 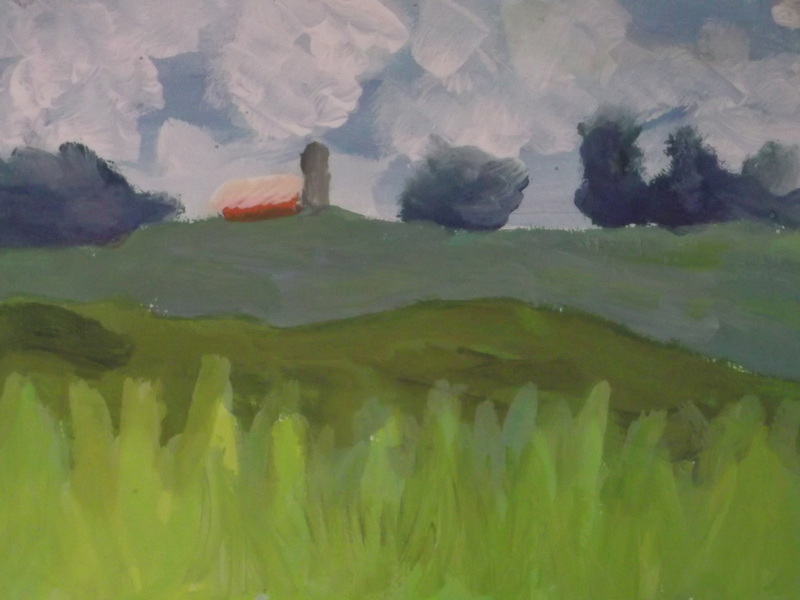 *At least three “layers” of land to show a foreground, middle ground, and background. * A road that converges as well as “shifts” at each layer of land. * Changes in size and placement to show depth. *At least 3 pencil techniques. Our identity comes from many factors; where we live, who we choose as friends, and, of course, our parents. where and how we live all comes from our family and our heritage. The art of genealogy is the study or investigation of ancestry and family histories. The visual record or table of the descent of a person, family, or group from an ancestor or ancestors is known as a family tree. 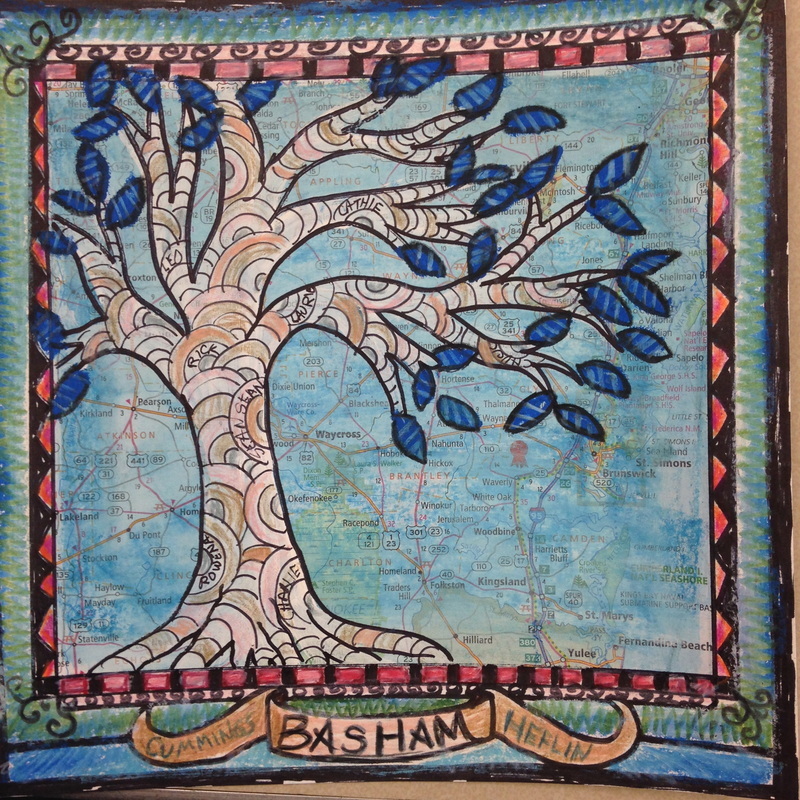 Many family trees can be traced back to other parts of the world, even countries that no longer exist. A families’ geography is a big part of who they are; where they come from, where relatives live, and places they visit together.